We are raising fund for the debut performance for playwright Shaquille John's Sticks and Mangos for three nights at Tristan Bates Theatre. Sticks and Mangos is a debut by Shaquille John and will be directed by Mumba Dodwell. We are sharing the first act at Tristan Bates Theatre as part of their Queer Season curated by Otherland Theatre Company. Sticks and Mangos takes an in-depth look at a father-son relationship, the modern family, immigration and the generation gap between attitudes of masculinity and homosexuality. Set in London, 2018, the play centres around Trinidad and Tobago's dissolution of Section 13 of the Sexual Offences Act 1986 in the summer of last year. A descendent of 'The Buggery Law' that was established by colonies of the islands in 1889. The first act we are performing will look at how this potential change in law affects a Trinidadian family back in London. Making sure that Sticks and Mangos get seen by theatres, directors and producers who can take this play further. This is a very personal story and we are using this opportunity to share stories that are not usually shared. 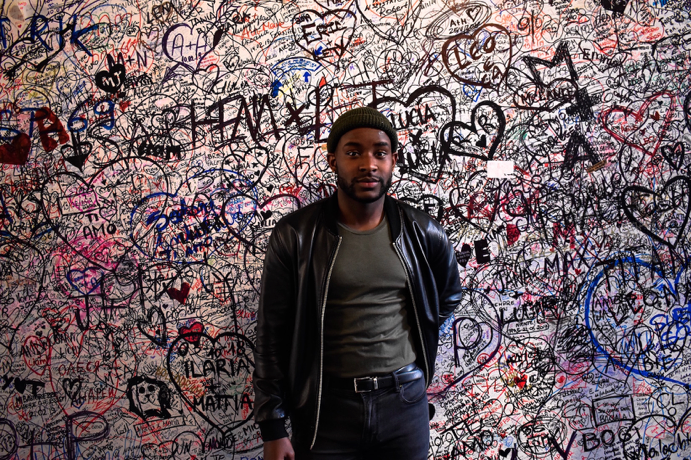 Shaquille is an actor with a keen pen for writing plays or poems that question and draws on what it means to be a queer black man navigating the world we live in. Sticks & Mangos will be his debut as a writer. Mumba comes from an acting background and has recently turned her attention to directing. 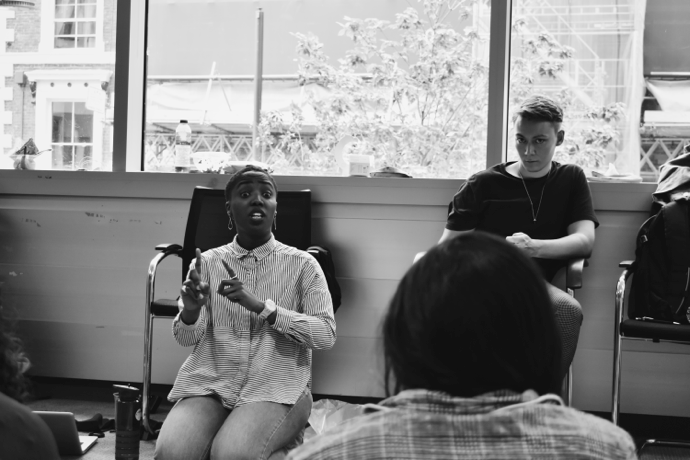 After completely the Young Vic Intro to Directing Course she wants to focus on challenging stereotypes, narrative and stories of those who are not usually seen in theatre. As well make sure when these stories are shared and are done with integrity and sensitivity. Mumba has recently directed Black Ice by Atlanta Green Theatre503, a rehearsed reading of Tales From The Garden by Ameera Conrad at the Tristan Bates Theatre and is the 2019 Bryan Forbes NYT Assistant Director. Every night on our flyer we will showcase two shows that you should see. We'll add a small picture and dates for your show. Mumba will spend an hour and a half with you and help to bring structure, direction and dynamics to your monologue piece for auditions. Mumba has previously sat in auditions for the BA Acting Course at Arts University Bournemouth, has done a directing course at the Young Vic and is the 2019 Bryan Forbes NYT Assistant Director.